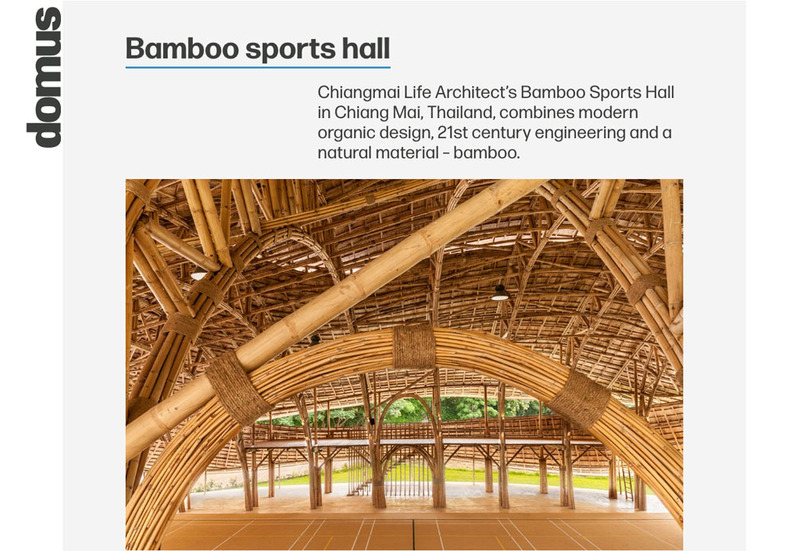 Now also the Design icon of the design center of the world Milan Italy, Domus features Bamboo Sports Hall. The halls outstanding combination of engineering, design and functionality combined with a zero carbon footprint has impressed even sophisticated Italian designers. The novelty approach of using prefabricated bamboo trusses that are at the same time a feast to the eyes makes this project a good example of where modern bamboo architecture can go. A tripple-layered roof with flowing organic curves creates natural ventilation and lets light brighten up the interior without letting the sun rays enter directly which would heat up the space.